http://jnmegan.booklikes.com Joelle's Bibliofile 3.5 Great Gift! A delightful gift book for the book aficionado in your life. Debbie Tung’s drawings are a reminder why a passion for reading remains a comfort and joy to so many despite the competition for our time and attention. A book most readers here could relate. It makes me smile on how much similarity I have with the main character. A woman who like reading a lot and behave the way most readers would. 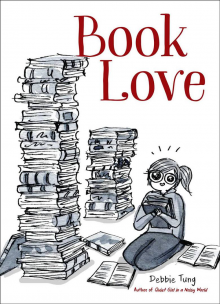 She loves book, she loves reading books. And that how she spent most of her time. Adorable.